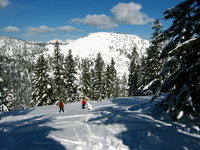 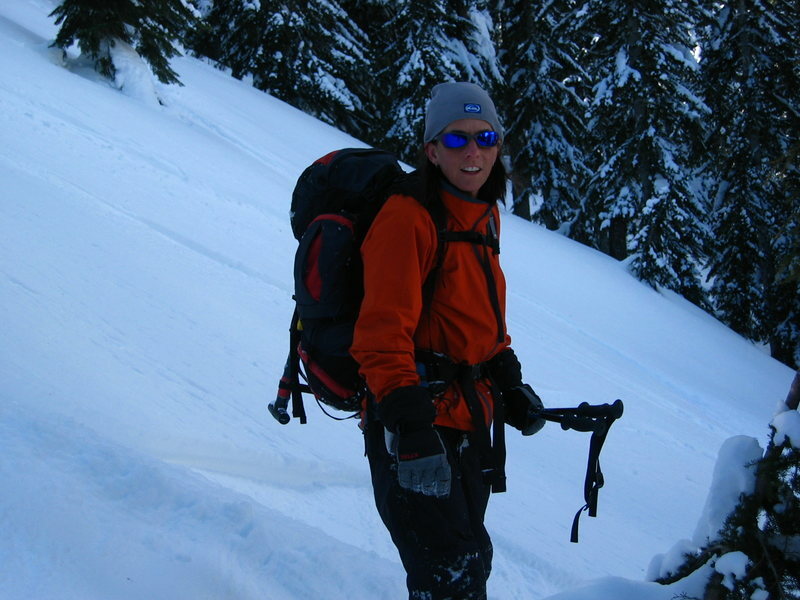 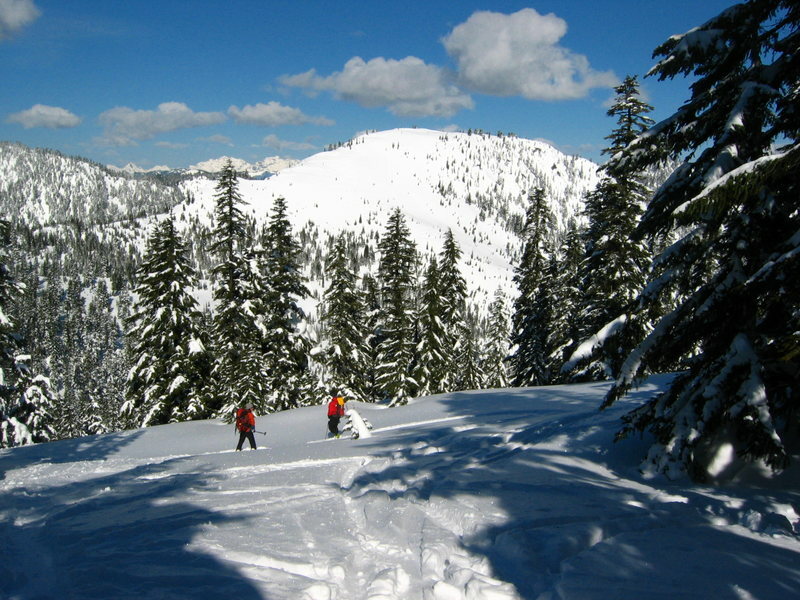 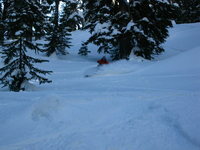 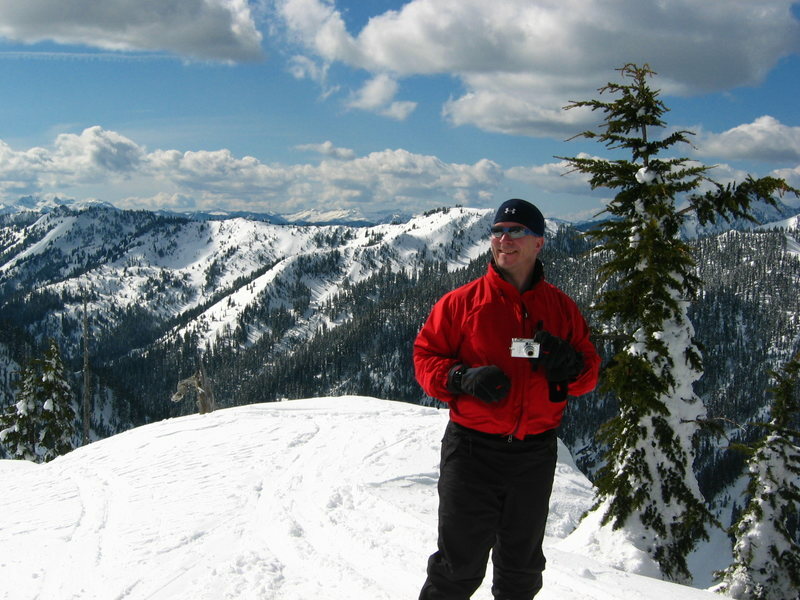 Heather Ridge is the old stand-by for easily accessible and relatively safe BC skiing in Washington. Back on a biz trip for a few weeks, I rented tele gear and headed up with Mark and Carla for a damn fine day of Cascade Powder. 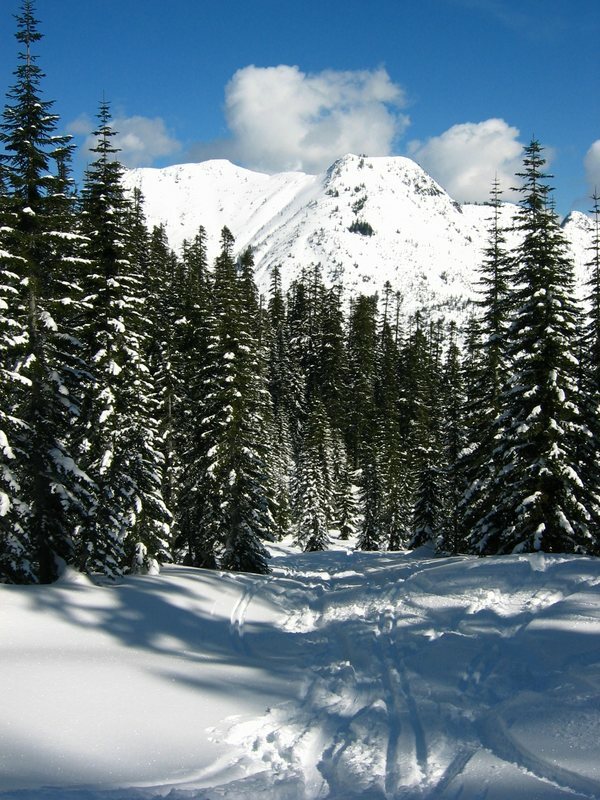 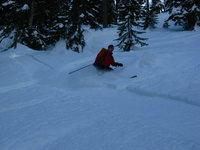 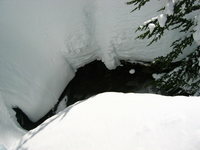 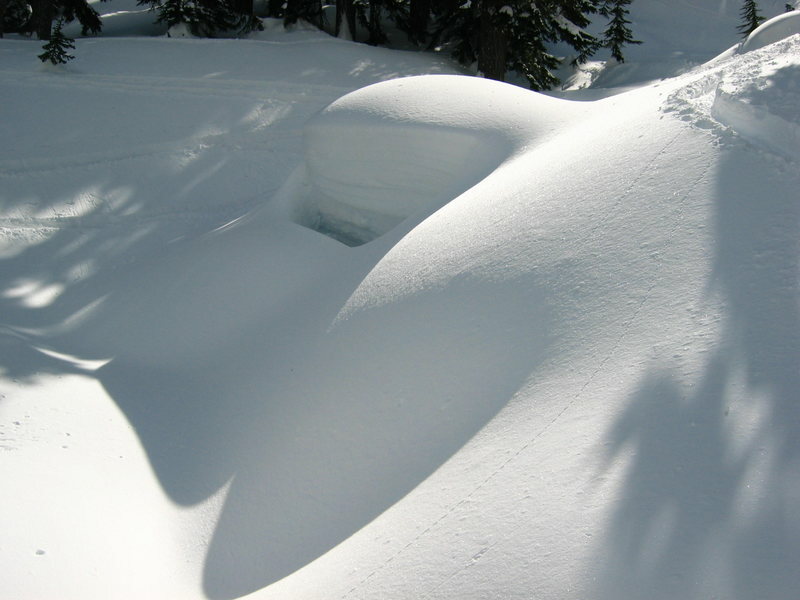 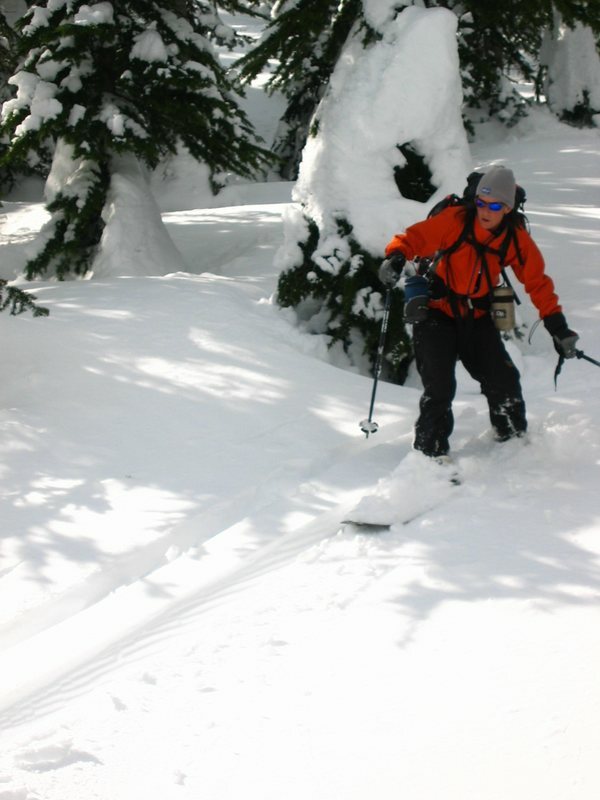 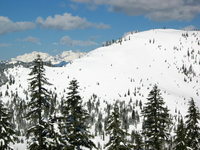 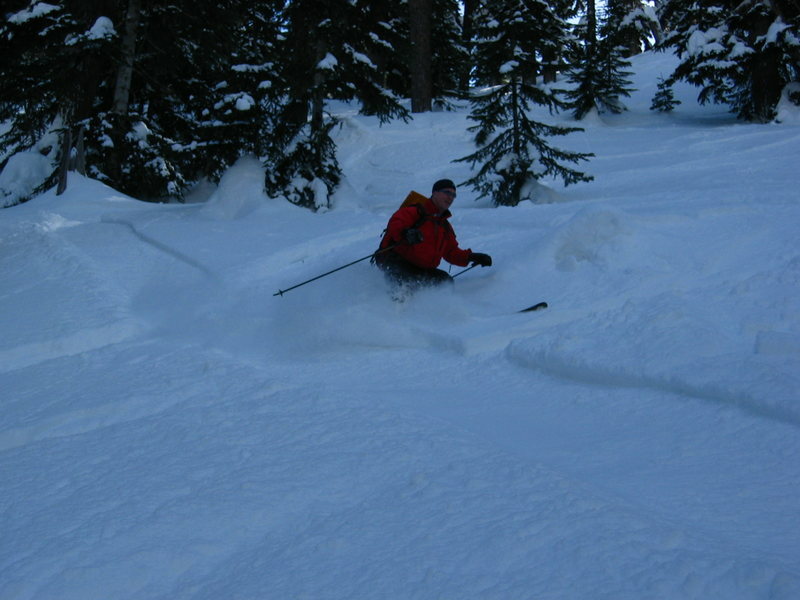 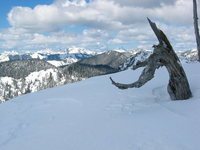 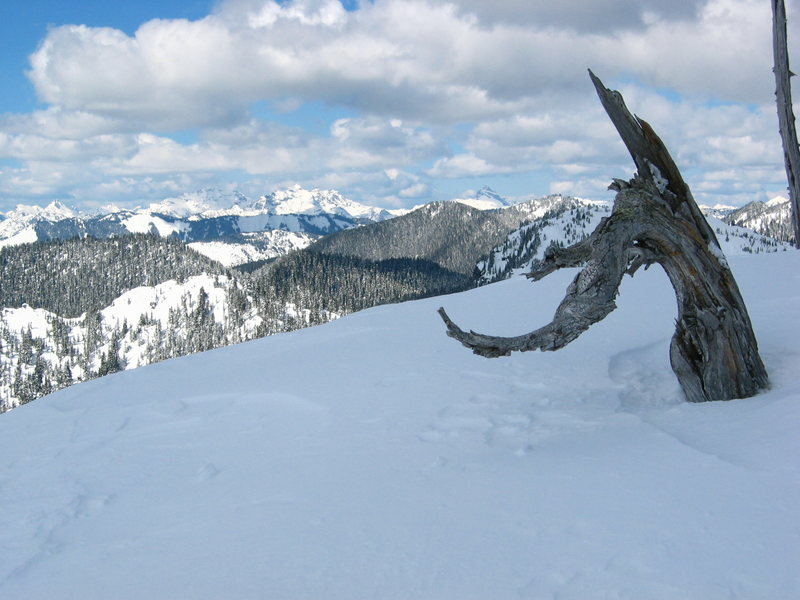 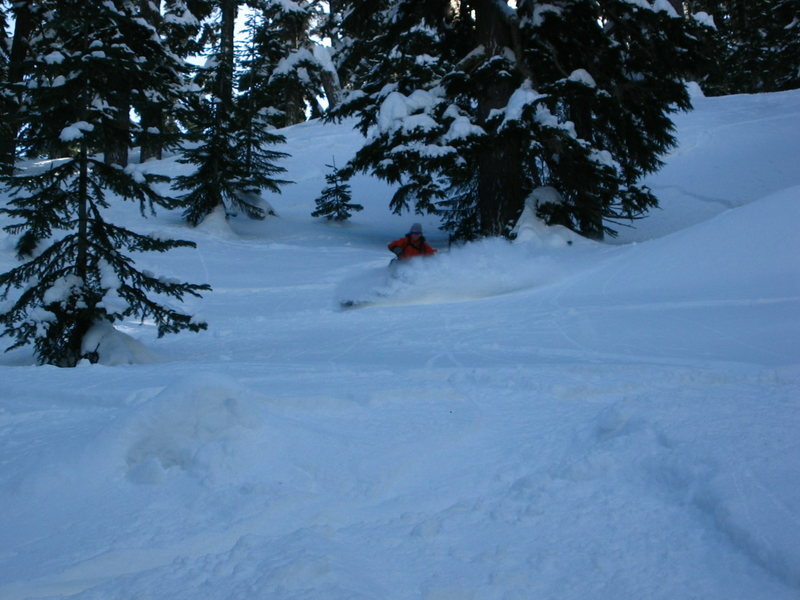 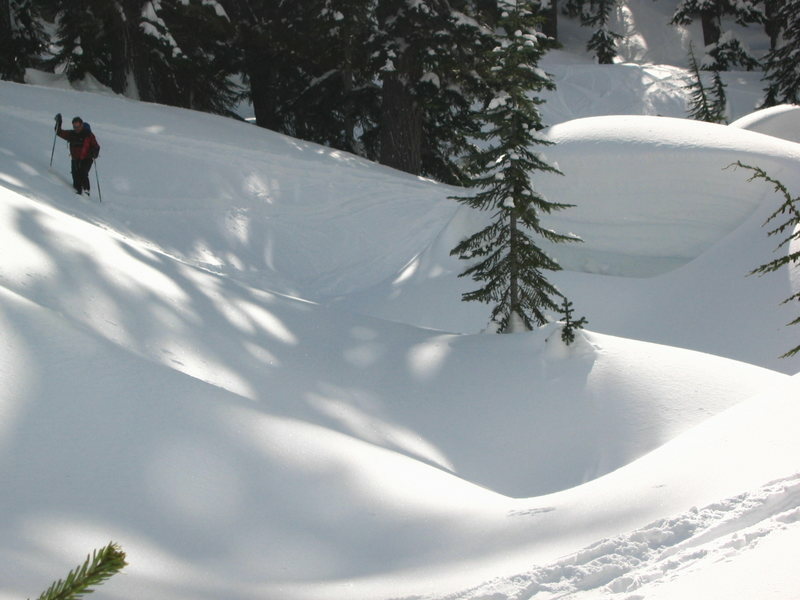 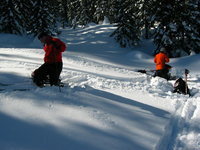 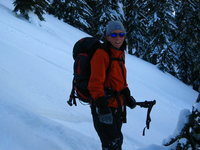 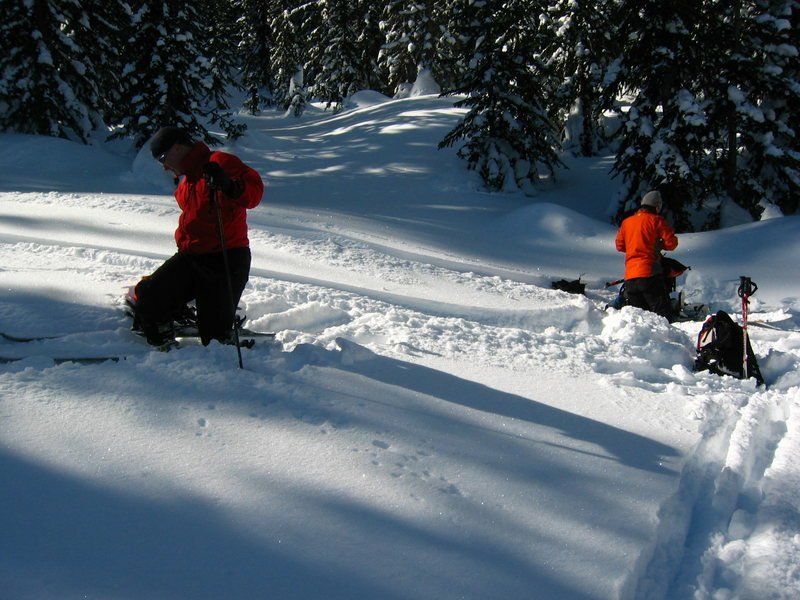 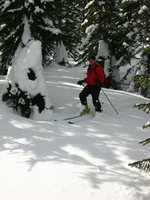 Unlike 2004/2005, the 05/06 winter was very good in the Cascades. 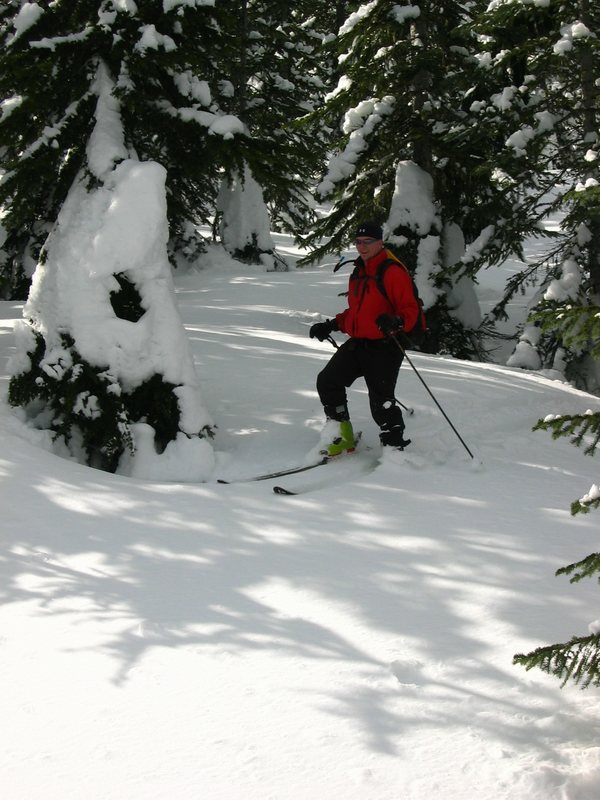 These couple pictures try to give some limited indication of the 15 ft (yes, foot), snow base present in early March.